Project number two update for the week, our kitchen island! Another project we picked up while at Menards, was our unfinished cabinets to use for our island. We decided to go DIY with this project to make it more affordable, plus this way we can paint them to match our other cabinets. We are sticking with white since we have green walls. Another perk of going with unfinished cabinets, you can purchase them and put them in your kitchen to make sure you 1. like having an island in the middle of your kitchen 2. make sure you picked a good size. Luckily, we love both! Here are some pictures of the mock up to give you an idea. We placed the cabinet sidings on the top to mock the counter top length. Already in love with our counter stools from Serena & Lily - get them now on sale! For the pulls, we are going to match the other knobs in our kitchen. Had to get the accessories! Excited to hid our trash can and wanted a shelf I could pull out for appliances. we have one bigger cabinet to fit appliances and two skinnier - one for more storage, one for trash. Plush I'm excited to have more drawers. 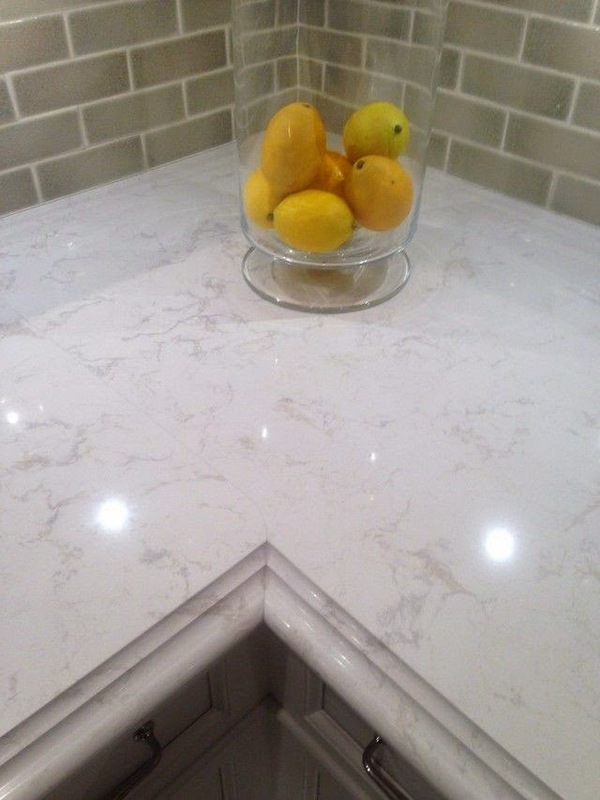 We love the ease of quartz and the white with grey veins in this particular style. Working on picking the place to purchase, then we will really need to get this thing ready! It's almost a tease having it sit in my kitchen, but hopefully also motivation. Kind of a big elephant in the room!